We all love cars in general and here at Diesel Station we also really love super cars. Who doesn't really? I personally don't know anyone in my life that hates super cars. 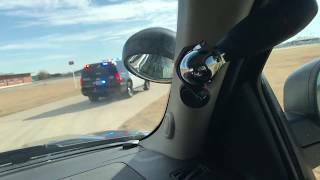 Nevertheless we are also quite serious when it comes to responsible driving, and that's probably because we do know how dangerous reckless driving can be. 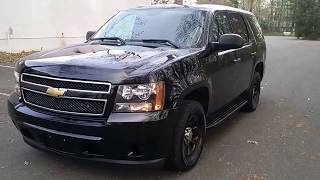 That being said, we figured out we should take a small break and have a look at one car in particular that has been designed from the very start to be a Police Pursuit Vehicle, and we're talking about the Chevrolet Tahoe PPV 2013. 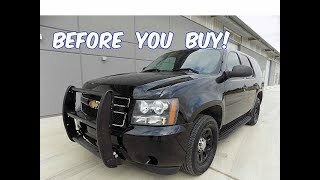 Despite the fact that the Tahoe was the first SUV to be designed from the very start as a law enforcement vehicle, there are quite a few differences between the PPV and the version you see in dealerships, beyond the police colors and the addition of flashing lights. In fact the Police Tahoe features a stiffer suspension system that also brings the SUV closer to the ground, improving handling especially at high speeds. The PPV is powered by a Vortec 5.3 liters V8 engine that is able to develop 320 horsepower and 335 lb-ft of torque. The Vortec power plant benefits from an Active Fuel Management system, that way the PPV is able to deliver 6% higher fuel efficiency and also gives the possibility to run on 85% Ethanol. The engine is mated with a heavy duty Hydra-Matic 6L80 six-speed automatic transmission whose job is to send the engine's power to the front wheels. Although the Police Tahoe is evidently a pretty large SUV performance figures are not really that bad. The PPV can go from 0 to 60 mph in 8.1 seconds, from 0 to 100 mph in 21.08 seconds, it has a stopping distance of 133.8 feet and has a top speed of 139 miles per hour. Safety features in the Police SUV includes StabiliTrack electronic stability system that greatly reduces the risk of rollover, tire pressure monitoring system and four-wheel-disk brake system featuring ABS. In order to protect the underbody the PPV comes with a Skid Plate Package that includes a front underbody shield designed to protect the SUV's vital parts. Other standard equipment that is to be found includes a 160-amp alternator, extended-life spark plugs, a 25-gallon fuel tank and a 660 CCA battery with run-down protection. 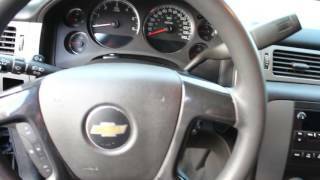 Bottom line is, the Chevrolet Tahoe PPV 2013 is good at what it's doing, it's one of the most efficient PPVs and you should think twice before deciding to make a run for it. Just don't do it.